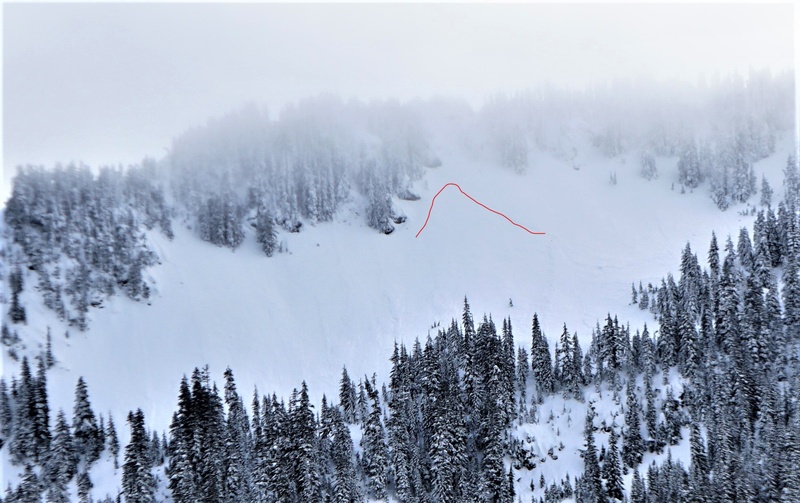 The Bottom Line: You can trigger a Loose Wet avalanche where direct sunshine and very warm temperatures combine with light winds to break down the surface crust. Wet snow that you can penetrate to ankle deep or greater should encourage retreat to slopes less than 35 degrees or less sun-affected aspects and away from terrain traps or terrain hazards. We didn’t expect the 0.5-1” thick water ice crust to break down on Saturday, but it did. Slide for life conditions were a very real threat on Mt. 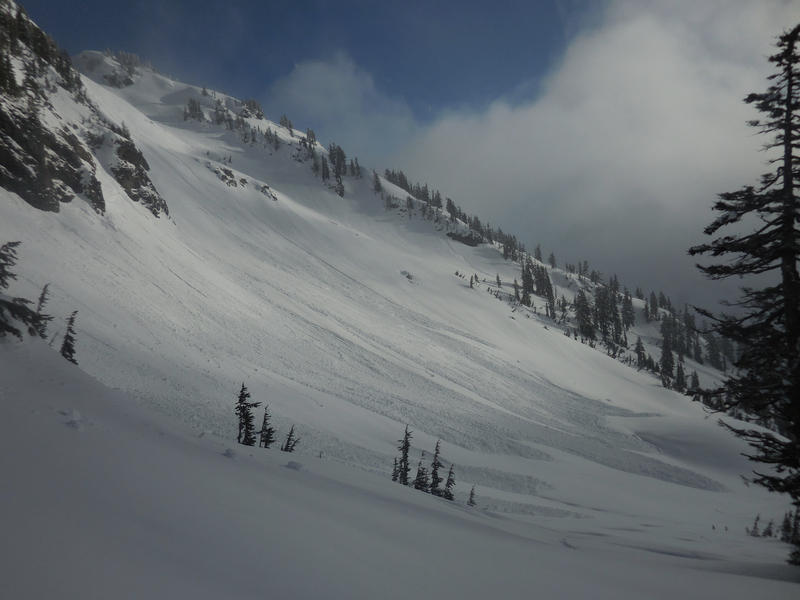 Hood on Friday and on Saturday, an observer reported soft surface conditions on a variety of sun-influenced aspects that were deep enough to produce a loose wet avalanche. A crust should re-form Saturday night and we expect it to break down once again with similarly warm and sunny weather present once again, assuming winds stay light. You may encounter very slick or soft snow surfaces and winds are the major determining factor. Cornices have been growing in the terrain. You are most likely to find them overhanging northerly slopes or on the edge of gully features. Don’t linger below these cornices on Saturday as the sun begins to warm them. We expect the potential to trigger a Loose Wet avalanche on slopes steeper than 35 degrees that are experiencing direct sunshine. If you experience loose snow deeper close to your boot top, seek lower angle terrain or adjust your aspect. These avalanches are most dangerous where they can push you into a terrain trap, over a cliff, or into a boulder, or a tree.